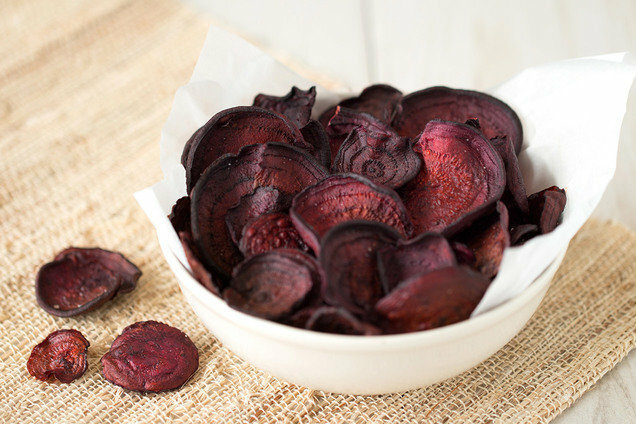 No fryer full of oil, no fancy dehydrator from a late-night infomercial… Just simple, crispy, delicious beet chips made right in your oven! Preheat oven to 250 degrees. Spray two baking sheets with olive oil nonstick spray. Using a mandoline slicer, cut beets into 1/8-inch-thick rounds. Lay beet rounds on the sheets, evenly spaced. Lightly mist with olive oil nonstick spray, and sprinkle with salt. Hungry for More Veggie Snack Recipes? Today, October 4th, is National Taco Day. Here's a slew of ways to celebrate!